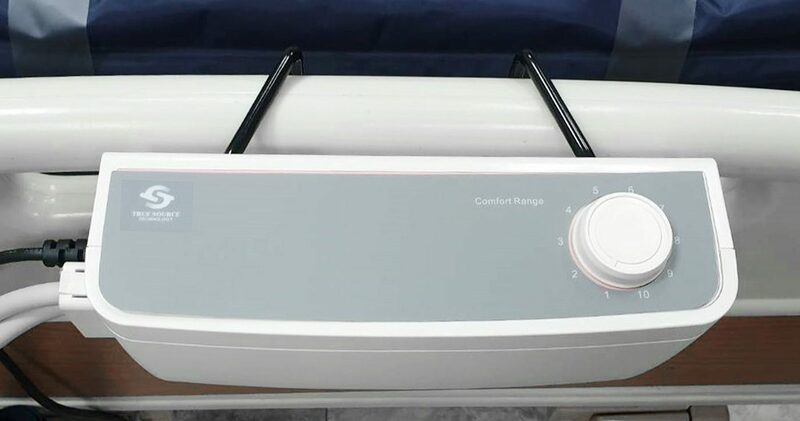 TS-105 5” Alternating Overlay Air Mattress & Pump System – Taiwan Anti-decubitus mattresses manufacturer and supplier, welcoming worldwide OEM & ODM cooperation! True Source Technology! Patented Internal Mechanism is featured with low vibration, low noise, low power consumption and modular design for convenient production and maintenance. The system is of a compact size, making it easy for placement and storage and taking into account the streamlined system appearance and practicality. Strict quality control of the injection material eliminates use of recycled materials or materials not fulfilling ABS criteria, ensuring absolute isolation and fire protection. Sturdy metal material coated with protection film is capable of withstanding accidental external force or severe collision and not fracturing. Ordinary plastic materials cannot withstand such blunt force. 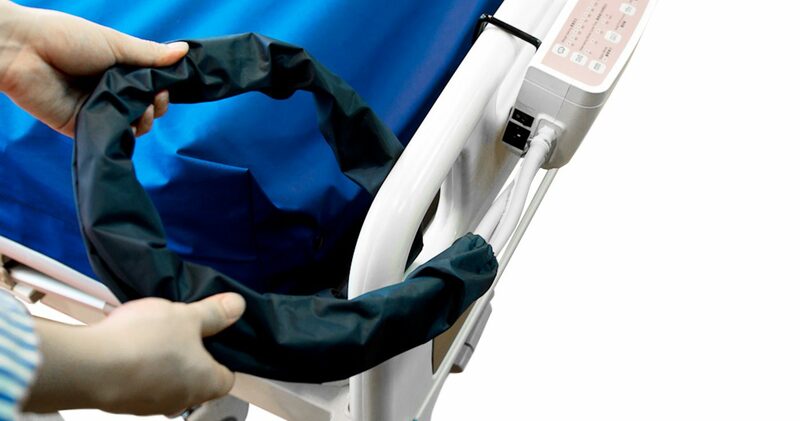 The deflation pump inside is equipped with a specially designed suspension shock absorption system and a foot mat is provided outside the unit in order to reduce the shock when the unit is in contact with the patient’s bed. 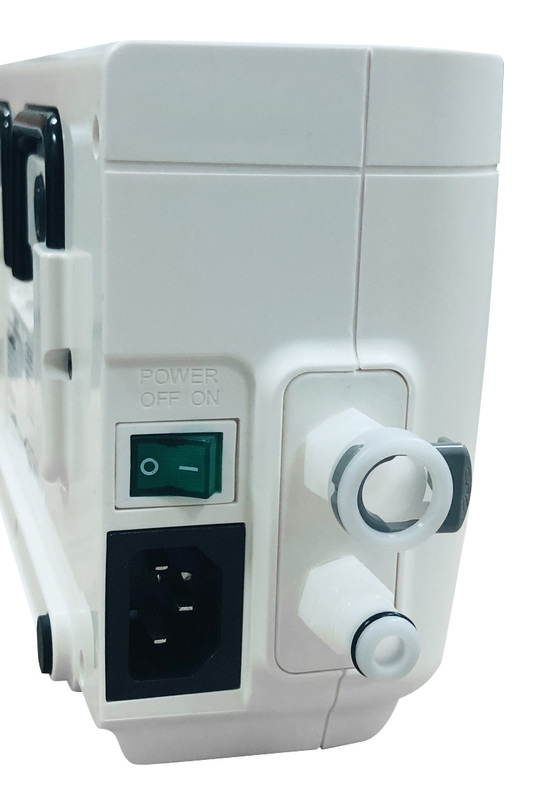 Use of 3-pin detachable power plug that can be detached from the main compressor preventing loss of functions during emergency. The double-fuse-design ensures safety during long-term operation of the main compressor, eliminating risks of accidental injuries. 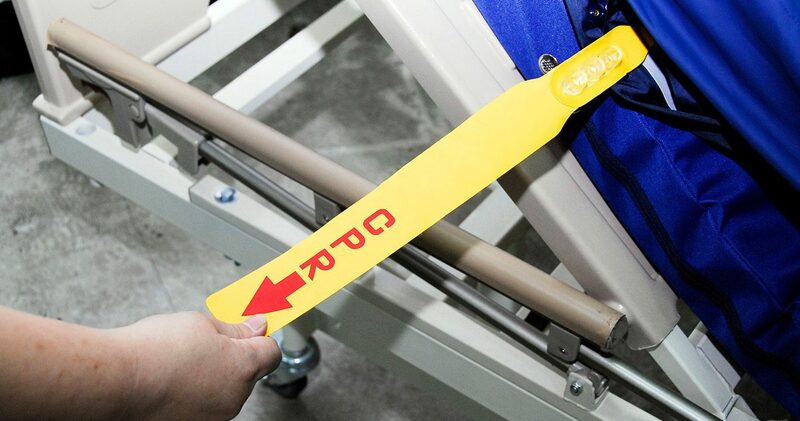 Position of power switch is designed with a recess on the side; therefore no extra protection is needed to prevent accidental touching of the switch in daily operations. The filter foam can be seen from outside the main compressor, to determine if the filter is dirty and requires replacement. Since there is no need to open the main compressor, the risk of cross infection is eliminated. 5”, 18 air cells allowing shortened spacing between tubes, and providing more intensive protection for our most critical body parts. 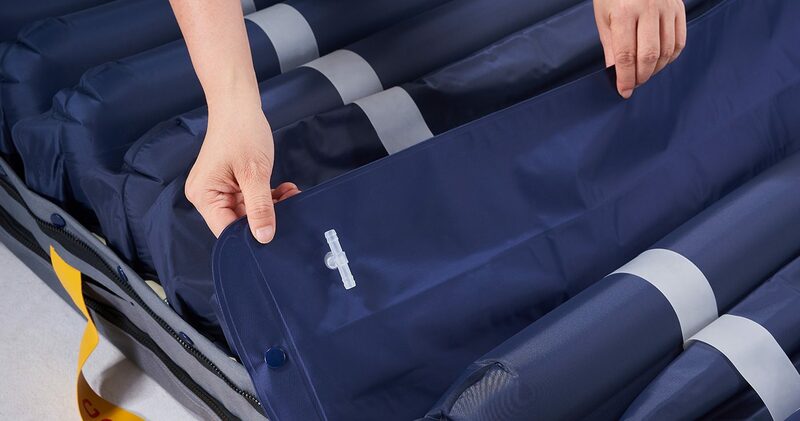 Made of environmentally friendly PU-film that is non-toxic, combined with warp-and-weft woven resilient fabrics with a smooth and bump-free PU surface. 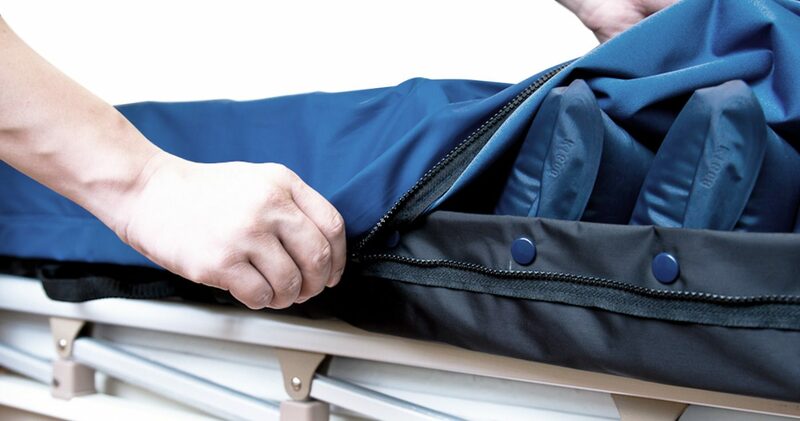 Deformation-free and lightweight materials that can withstand a pressure over 300 mmHg. 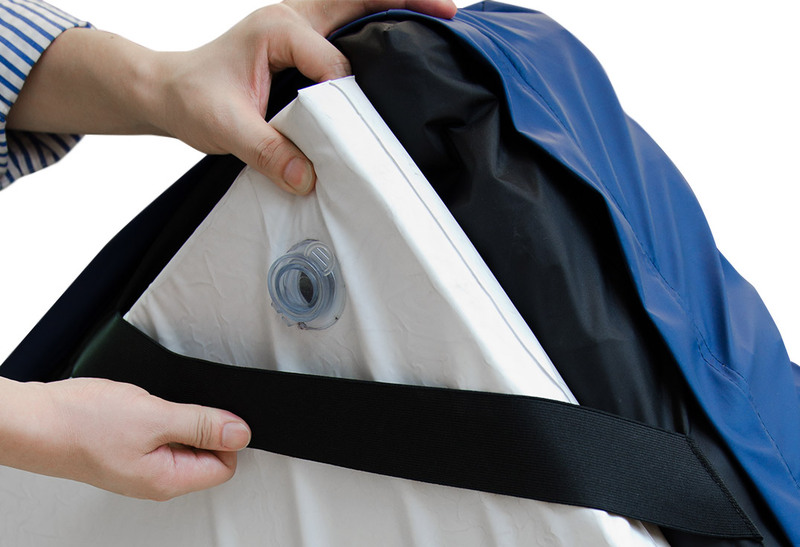 Patented CPR Quick Valve is equipped for fast deflation of the air mattress so as to facilitate the cardiopulmonary resuscitation (CPR) during the emergency. 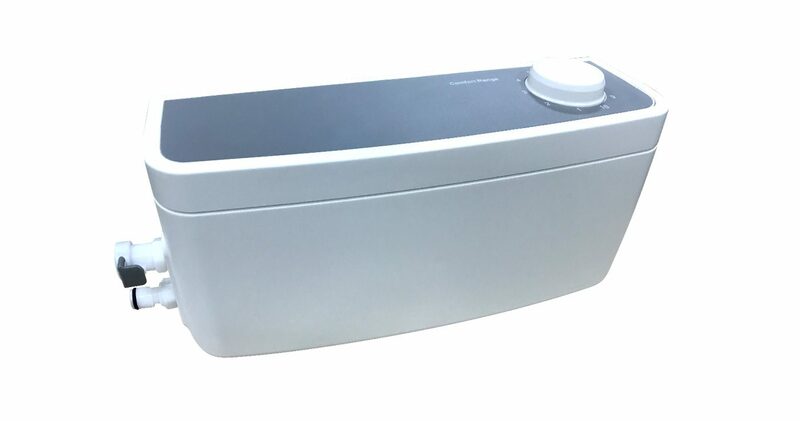 Front 3 Air Cells No Alternating Design ensures no alternation at the head end to increase the comfort and security in use. 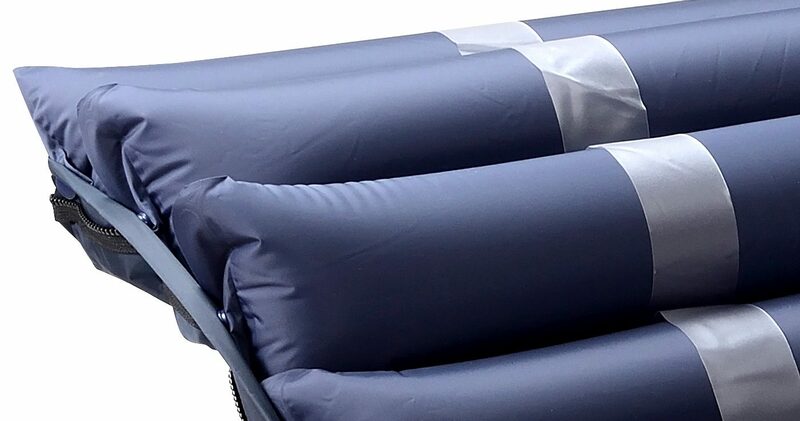 The simplest way to fix the air mattress at the existing foam pad. 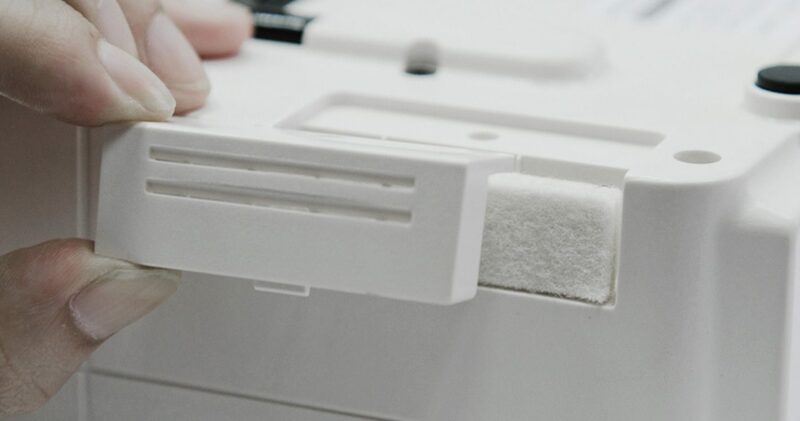 The External Connecting Air Tube is protected with dust-proof sleeve so as to avoid the accumulation of dusts and stains on the surface. 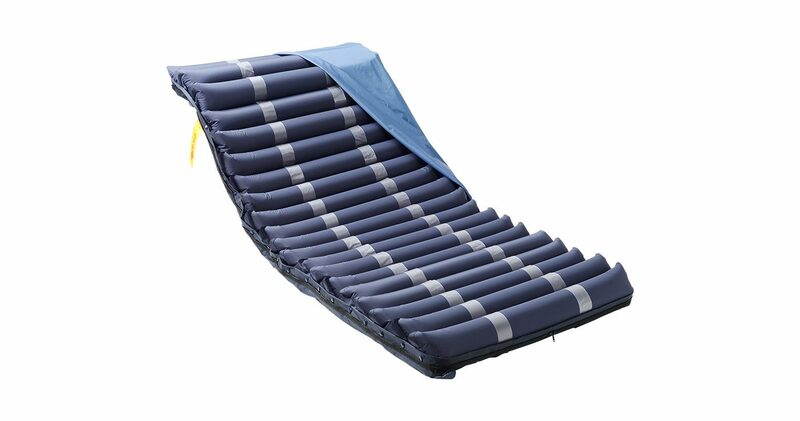 are designed for adjustable length which can facilitate the retraction and handling of the mattress. The length, width and height of the mattress is carefully designed to match the dimensions of most hospital beds, eliminating worries regarding the bed slipping or excessive gaps, which lead to feelings of insecurity. Step 1 Place the air mattress evenly on the overlay. The endwith a connector to the power unit is the feet end. Step 2 Check if the securing position of the air cells is centered. Secure the overlay of the bed with the elastic bands on the four sides at the back of the base. Step 3 Hang the power unit on the panel at the feet end. Step 4 Connect the hose at the feet end of the mattress to the air outlet of the unit. Step 5 Connector the power cord to the AC Inlet of the power unit. Step 6 Plug the power cord of the power unit to a socket with power supply. Step 7 Turn “ON” the power switch on the side of the power unit, and the green indicator turns on. Air starts to enter the hose in a few seconds. Step 9 Please wait until all the air cells are inflated by at least 2/3 of their volume (approx. 10mmHg) or for 30 minutes before the user is allowed to lie on the mattress. Power unit does not operate. 1. 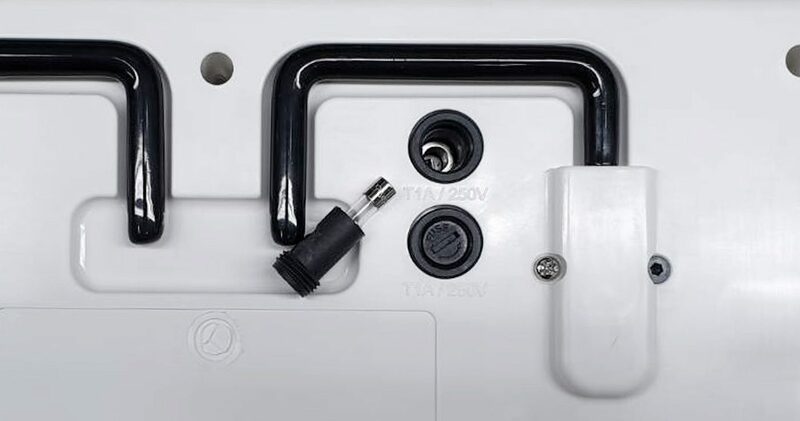 Check if the two ends of the power cord are safely connected to the power unit and the socket. Solution: Confirm if the wall socket has power supply. 2. Check if the power switch on the side of the power unit is switched to “ON”. Solution: If not, switch to “ON”. 3. Check if the fuse has burnt out or not properly installed. Solution: Turn off the power and check the fuse. Power unit is working, but mattress is not inflating. 1. Check if air comes out of the power unit and if the connector is properly connected. Solution: If the unit operates normally but no air comes out, it is possible that the power unit has something wrong inside and needs repair. 2. Check if the CPR lid falls off. Solution: Repair or replacement is needed if the lid is damaged. 3. Check if the mattress connector is bent or falls off. Solution: Repair or replacement is needed if the connector is deformed and cannot be restored or the material is not in its normal state. 4. Check if the air hose is damaged. Solution: Repair or replacement is needed if the air hose is damaged. 5.Check if the air cotton filter is heavily soiled and the air is blocked. Solution: Replace the filter if it is heavily soiled. 2. Check if air leaks from the mattress. Solution: Replace the air cells if damaged. 3. Check if the air cotton filter is heavily soiled and the air is blocked. Problems other than the above. Solution: Contact the local distributor for handling. © Copyright 2019 True Source Technology Co., Ltd. All Rights Reserved. Design by EG.